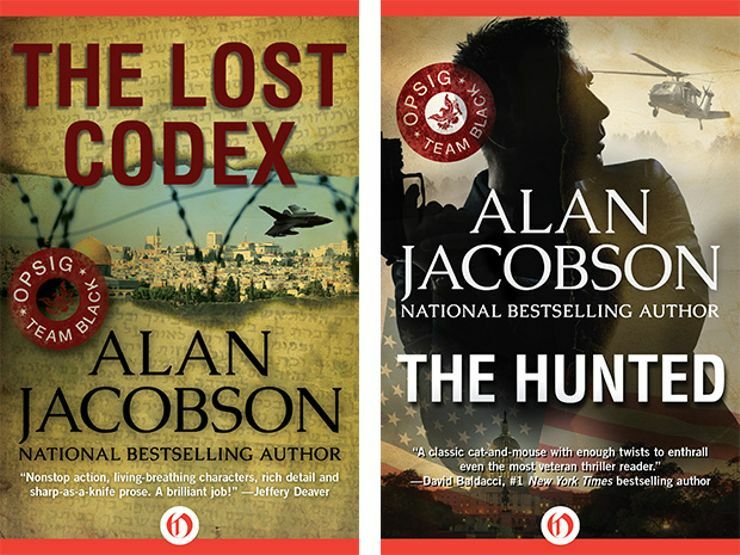 Bestselling author Alan Jacobson and Special Operations Forces expert Steve Garrett on how they “made it real” for Jacobson’s new thriller, The Lost Codex. I was well into the writing of The Lost Codex, my third OPSIG Team Black thriller, when I discovered I had a problem. My covert ops team needs to cross the border from one European country to another, but they have to do so covertly—without being seen in person or on the ubiquitous surveillance cameras, as my characters entered the European Union illegally on a “black” mission. Had their presence been detected, they would have been imprisoned for decades because of an incident they were involved in a couple of years ago in the UK. Moreover, the U.S. government would not be able to come to their rescue or even acknowledge they are Americans. It comes at a cool point in The Lost Codex—the stakes are high on several levels, the border crossing aside. But that border crossing presented a problem: I turned the page of my outline and realized I had accidentally skipped that step. It read something like this: “(Karen) Vail, (Hector) DeSantos, and (Aaron) Uzi cross into (Country B).” But I didn’t specify how they’d do that. I could’ve made something up—that’s always easiest. And it’s in a novelist’s DNA to make stuff up, right? But I’d rather do things as accurately as possible and avoid the eye-rolling exercise those in-the-know go through when they read things in novels that are blatantly impossible—or just plain wrong. I’ve worked with two FBI profilers for over 20 years, so when I read something in a “serial killer novel” that misses the reality mark, it takes me out of the story. I’ve heard this complaint from lawyers who read legal thrillers, doctors who read scenes involving injuries, law enforcement personnel who read books where the fictional cops do things that could never happen in real life. I try not to jar my readers like that because then they’re thinking about the errors instead of staying engaged in the action. With that in mind, for this scene in The Lost Codex, I contacted my top Special Operations Forces (SOF) expert, Steve Garrett—who has more U.S. Navy-related acronyms, qualifications, and designations after his name than I can remember—and explained my dilemma. Alan Jacobson: Steve, first tell us a little about your military career—because one of your areas of expertise goes directly to the scene I described above. 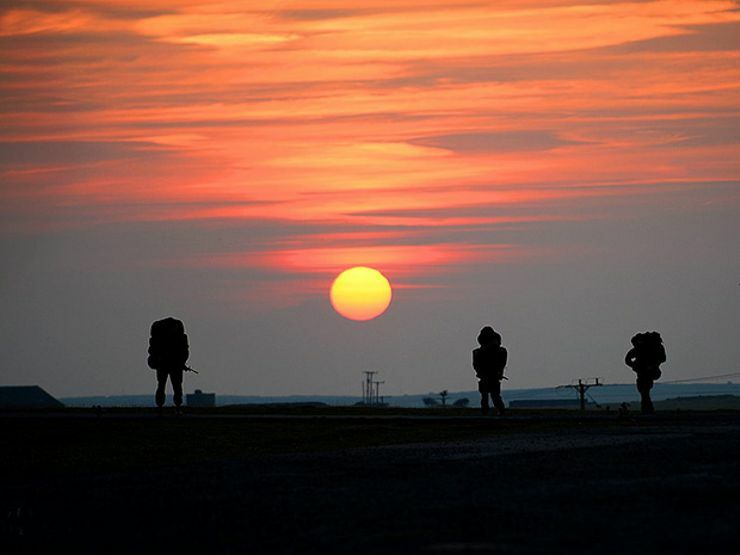 Steve Garrett: In the military my “primary” function was to be a medical trauma expert with United States Marine Corp Reconnaissance Units, SARC/SOIDC. I am an honor graduate of the U.S. Army’s Special Forces Medic program, which gave me the trauma expertise needed to deploy in this capacity. Operating in small teams, we all had to have the same skill sets with certain members being experts in these areas; closed circuit SCUBA diving, freefall parachuting, weapons, demolitions, communications, and trauma medicine. On top of these skill sets, I am also a Jumpmaster and Diving Supervisor. I spent three years at the Basic Reconnaissance Course at Coronado Island as the primary military demolitions and survival instructor. Following this tour, I was selected as the Superintendent of Emergency Medical Operations at The White House in Washington, DC. This involved worldwide travel and included working on the president’s protection detail, under President Clinton. After completing two years at Yale’s School of Medicine Physician Associate program, I was a U.S. government contractor for four years performing paramilitary operations in Iraq and Afghanistan during those wars. AJ: Impressive, to say the least—and I think it’s safe to say that I speak for my readers in thanking you for your service. As I mentioned above, your skill set was particularly suited to this Lost Codex scene. You gave me a couple of options as to how SOF operators would handle this border crossing in real life, and I chose the one that I thought fit the story best, one that would be exciting and get my characters from Point A to Point B without flouting the truth. And that involved Karen Vail, Hector DeSantos, and Aaron “Uzi” Uziel jumping out the back of a Boeing Globemaster C-17 transport. Except that I’d never jumped out of a humongous military jet before. But you have. And one requirement I had is that it had to be believable—because Vail, like me, had never skydived before. You said that was not a problem. SG: Yes, this is very doable and is practiced and performed throughout the military. Basically, you needed someone to parachute out of a plane who did not possess this skill set. Tandem parachuting was the only way to go. 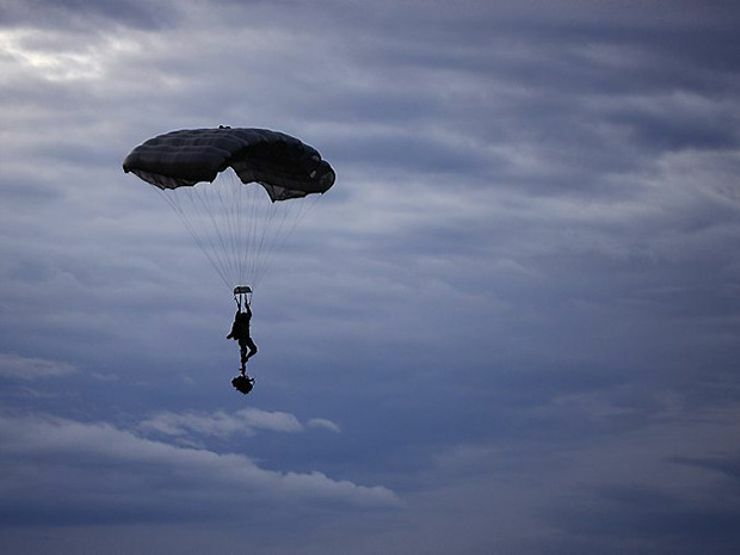 We use a tandem method to safely deliver non-SOF qualified scientists, engineers, surgeons, and military working dogs to landing sites where their expertise is required. For The Lost Codex, my bigger concern to keep it accurate was what the jump altitude was going to be. At certain altitudes this becomes more complicated because of the breathing requirements. For example, in some cases pre-breathing oxygen is necessary to prevent the jumper from passing out. With higher altitude there are other concerns, as well. I needed to know if you were going to write this as a static line, a rope attached to the parachute to deploy it, or a freefall jump where everything is left up to the jumper to deploy their own chute. Static line is traditionally performed at very low altitudes which means less air time for the jumpers—but a large aircraft like the Globemaster puts off a huge signature and would be easily seen if there were people around the drop zone. AJ: It took quite a bit of going back and forth for me to understand the issues and to plot out the scene in terms of the timeline—to maximize cover, it had to be done at night—which meant making sure that everything that preceded this scene timed out properly so that my characters would be approaching this part of the mission under darkness. Showing you the drafts as I was writing was essential. That way I didn’t write myself into a corner where I got too far afield of what I wanted to have happen while making sure I didn’t deviate from reality. Some of the things you fixed on the later drafts were the details—the altimeter that DeSantos wears and the colored lights above the open ramp where they jump from, the hand signals, the terminology. In the end, when you read the entire manuscript and made edits, comments, and corrections, you took another pass through that skydive scene and made some final adjustments. For me, it turned out to be a funny, exciting, and authentic chapter and a fresh way of getting Vail, DeSantos, and Uzi across the border … just like a real black ops mission would be carried out. What turned out to be a problem ended up being a strength. SG: That’s what I enjoy most about this—you want it correct and won’t settle for anything less to “keep it real.” Another scene that required some substantial back and forth was the one involving DeSantos and the Rigid Inflatable Boat. Without spoiling the scene, let’s just say that there are a couple of chapters where DeSantos finds his target—and the scenes involve boats, guns, knives, close-quarters combat … and a dead terrorist who can’t be left behind. AJ: I love that scene. When I was in England looking over the terrain, I spent a lot of time trying to figure out a way to make it a memorable part of the novel. I didn’t ask you at the time we were working on it, but I have to ask you now: What were you thinking when I wanted to know the best way of disposing of a dead body in water? SG: [Laughs out loud] Well this was my third novel working with you, so I know what they’re about, what you’re looking to accomplish, and that you want it as realistic as possible. And of course it needs to be entertaining to the reader at the same time. When you want to remain undetected by the enemy, corpses are always a problem since it obviously lets people know that opposing forces were/are there. Of course, add water and you have additional challenges since corpses float, eventually, if not at first. During the Gulf War, we had a mission to go into Kuwait and assault a Scud missile platform. Every night at the same location, this truck pulled up and launched, so we were going to do something about it. The Navy’s Special Boat unit was to drop us off out past the surf zone and we then would swim in. Once on the beach, we had a short movement to the Scud launcher. We did not want anyone to know that opposing forces were in Kuwait prior to the ground war so we had the same challenge, what to do with the bodies. Instead of leaving evidence that they were assaulted, we wanted to make it look like they defected over to Saudi Arabia. So this meant we had to get rid of the bodies. Burying them was out of the question, so it meant putting them into body bags and carrying them out to the beach and then swimming them onto the boats. This mission never happened because that night the Battle of Khafji began and the tables were flipped with us busy egressing out of Khafji while dodging rockets and mortars. AJ: That’s why I always do the research myself—because whenever I talk with my experts, be it at Scotland Yard, the NYPD, DEA, the military … you guys tell me real stories about the things I’m asking about. What happens in real life is often wilder than the stuff I can conjure up. Whenever possible, I integrate these anecdotes into my novels. Dead body disposal aside, I wanted to touch on the use of the RIBS (rigid inflatable boats) and IBSs (Inflatable Boats-Small). You guys use them in special forces operations because they’re somewhat mobile, right? SG: Yes, and pretty much all SOF units use them at some point since they are so versatile for mission inserts and extracts. We use the IBS or Zodiacs more since they are typically smaller and more versatile than a RIB. An example would be when locking out of a submarine. You can put them into the Dry Deck Shelter and deploy them while the submarine is still submerged. If I remember correctly, DeSantos had to dispose of the boat as well as the body, right? AJ: Yes. Unfortunately, these boats are built to prevent the very type of thing I wanted DeSantos to do to get rid of it. But you gave me some great suggestions as to how to take care of it. All in all, the chapter achieved everything I’d hoped: It’s very exciting—but also accurate. Beyond these two scenes, however, you went through the entire manuscript once I’d finished and line-edited anything that was improper in terms of SOF procedure, or not feasible. SG: Most of it was correcting details, particularly as it pertained to weapons, like having the tangos use the proper weaponry for the scene or ensuring the equipment that Vail, DeSantos, and Uzi use while in the military transport is correct—and used correctly. I also fixed something you’d written regarding how the NSA would track and triangulate the location of a high value target, and I adjusted some terminology they use in dialogue when discussing their mission, that type of thing. Overall, I think the extra effort was worth it. AJ: Absolutely! Without question—and here’s one example why: For The Hunted, book one in the OPSIG Team Black series, I received an email from a lieutenant commander of the U.S. Army’s chemical weapons facility in the Pacific Northwest—that’s how he started the message. Needless to say, it got my attention. He wrote that he and his wife loved The Hunted, but he wanted to correct me regarding something I’d gotten wrong with the MP5 semiautomatic submachine gun. I was mortified—because I knew the MP5 pretty well. While writing The Hunted, I went to the FBI Academy to do some additional research and Supervisory Special Agent Mark Safarik—a senior profiler at the Behavioral Analysis Unit—had arranged for me to work in the indoor range with the head firearms instructor, Special Agent Jeff Mullin. After Agent Mullin taught me how to handle the MP5, I shot it, disassembled and cleaned it, then reassembled it. And I had all this on videotape. After reviewing everything, I replied to the lieutenant commander that I thought that what I’d written was correct and included an explanation. A couple of days later he wrote back that he’d checked with his SWAT commander, whose team used the MP5, and that I was right. He offered to help me with future books—and he was instrumental in helping me with Hard Target, OPSIG book #2. There’s an old adage in my business: write what you know. I understand the sentiment behind that, but I’ve found that writing what you know restricts you to a very narrow band of life—unless you’re a Renaissance man or woman. I’m not—so I surround myself with those who do know what I write. Perhaps the best compliment I’ve received came from Navy SEAL Robert “Dusty” Barton, who said of The Lost Codex, “Incredibly realistic. This is the way we did it in the SEAL Teams. It is so true-to-life that it’s hard to believe it’s fiction. A fantastic story.” I knew then that the extra effort was, indeed, worth it. Steve, thanks for your time here—and your assistance with helping me get it right and making it real.